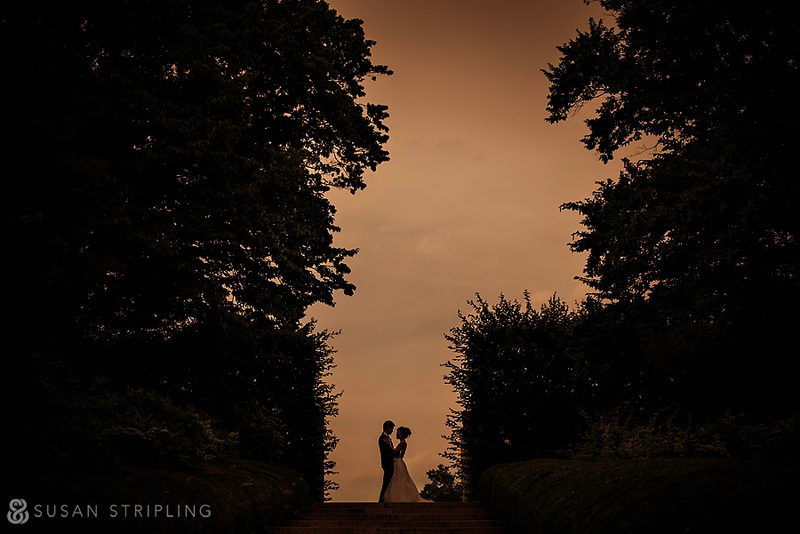 This Brooklyn Botanical Gardens wedding started with not one, not two, but three engagement session rain-outs. Despite trying to schedule the session multiple times, the weather kept delaying and pushing back the shoot. We finally managed to get it done – three days before the actual wedding date! 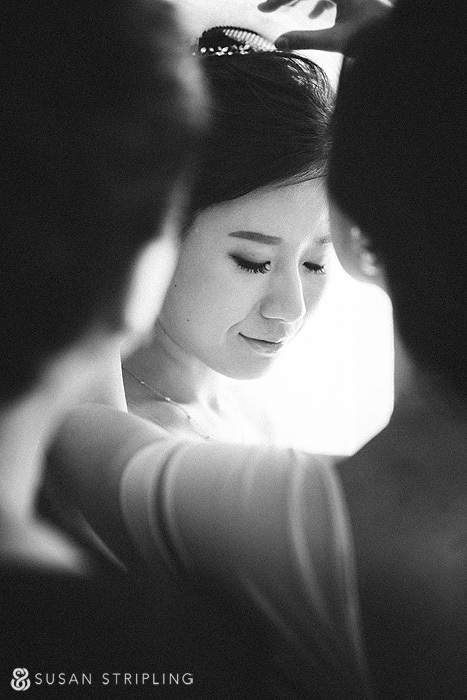 I was worried that cutting things so close would make the bride and groom nervous, but Jundai and Hong Ma are such lovely, calm people. The session was remarkable, with the heat and crazy weather giving way to a gloriously beautiful afternoon with brilliant light. 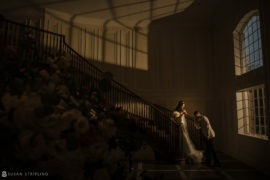 After such a wonderful shoot, I knew that the wedding day itself was going to be just fine. Jundai and Hong Ma are pure joy. You can’t help but smile back at them, and when Jundai laughs, you just have to laugh along. They’re so kind, so sweet, and so endlessly adorable together. The entire day was full of brilliant light, perfect weather, and utterly charming moments. 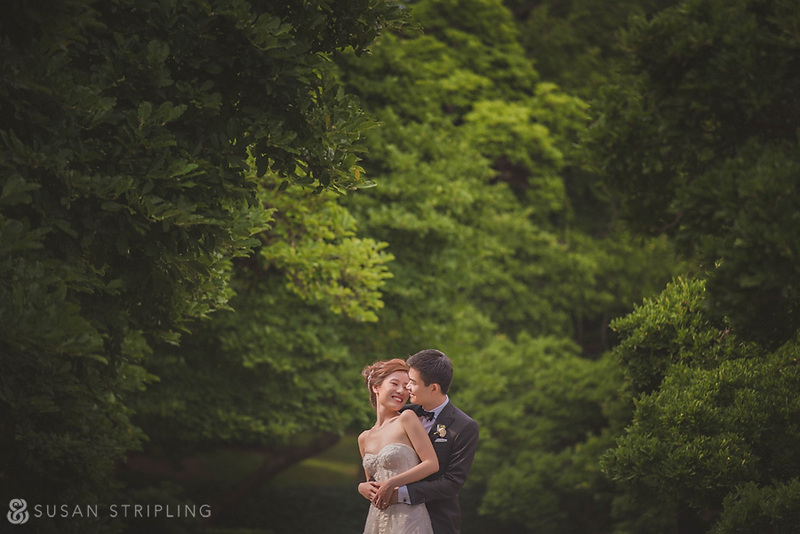 The Brooklyn Botanical Garden wedding venue is so close to my own home, so it was great to practically be working in my own backyard! We started the day at the W Union Square. It’s a bright, modern hotel with brilliant light. The second I saw the bride’s dress, I couldn’t help but smile. 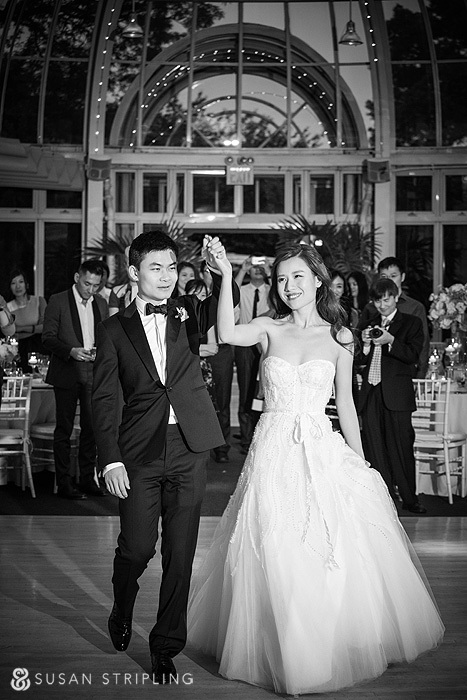 Jundai was married in the Monique Lhuillier Candy dress, which was the same dress I wore to my own wedding! 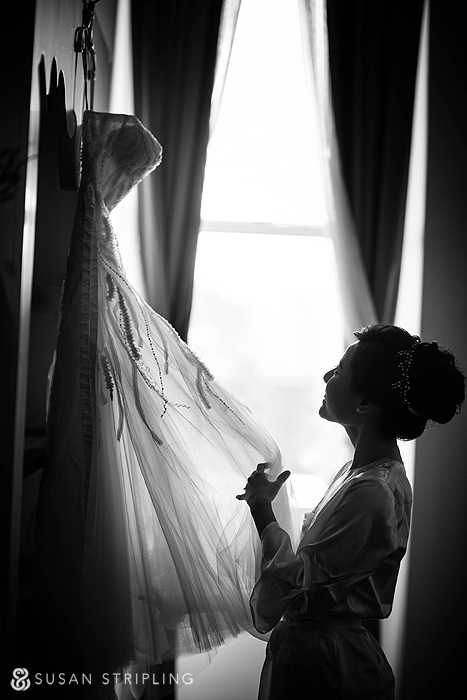 I love the light coming in from the window, and the way the bride’s delicate skirt flows into the shadows. Jundai is so graceful, and everything she does is elegant. One of my favorite details of the Monique Lhuillier Candy dress is the delicate grosgrain ribbon belt. 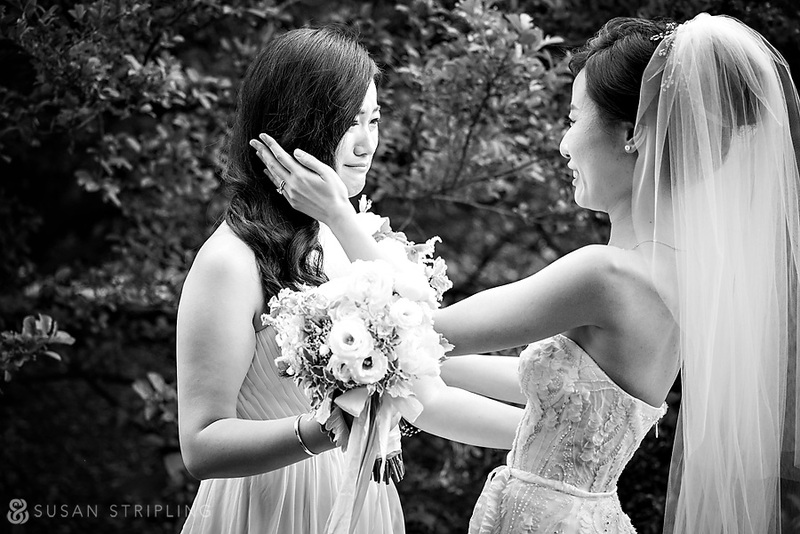 One of the sweetest things about documenting wedding days are the quiet moments. Not every “moment” has to be a huge laugh or a flood of tears. Sometimes it’s just a quiet breath, a simple smile, or a second of peace. Jundai’s mother is just as kind and sweet as her daughter. I love this sweet moment between the two of them while Jundai was getting dressed. Every wedding day is different. Every timeline allows for different amount of time with the bride alone, families, bride and groom together, and so forth. 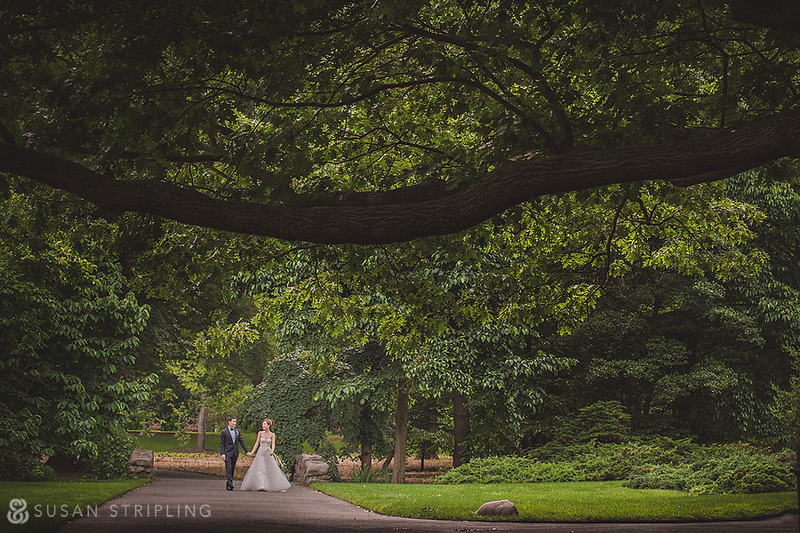 We had a glorious hour in the Brooklyn Botanical Garden for portraits of the bride alone, and the bride and groom together. This is Jundai’s reaction to seeing Hong Ma for the first time. I’ve tried to write a caption for this image for a solid fifteen minutes, but what words are needed when the picture tells the whole story? The joy and happiness that these two have together is really breathtaking. 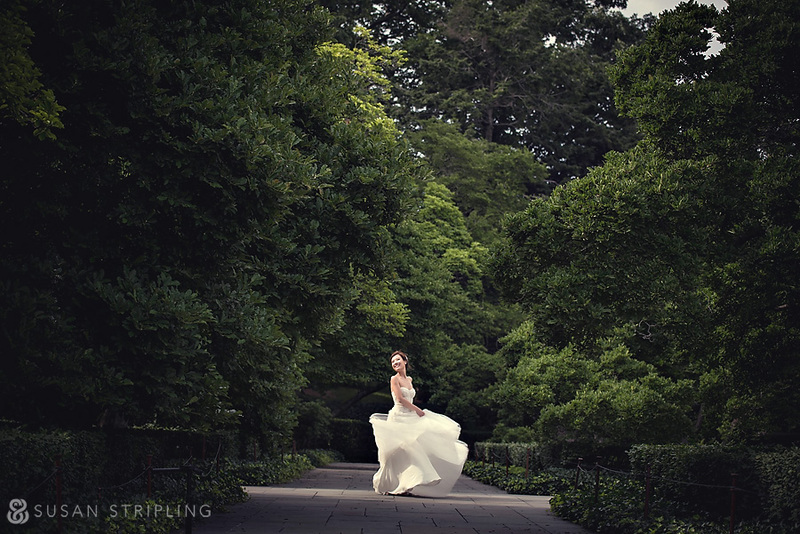 After the bride and groom saw each other for the first time, we spent about an hour in the Brooklyn Botanical Garden taking portraits of them together. The staff at the Garden provided a golf cart for us to get around. This really helped us get to as many locations as possible! I especially loved the Rose Garden. 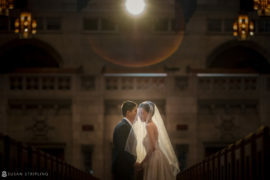 A lot of potential clients ask me how I pose brides and grooms together. Will they feel awkward? Will they be forced into unnatural poses? I do my best to reassure them that my job is to document your relationship, and the “poses” are just gentle suggestions. My goal is to create pictures for you like this one, where you’re just alone together, interacting naturally. 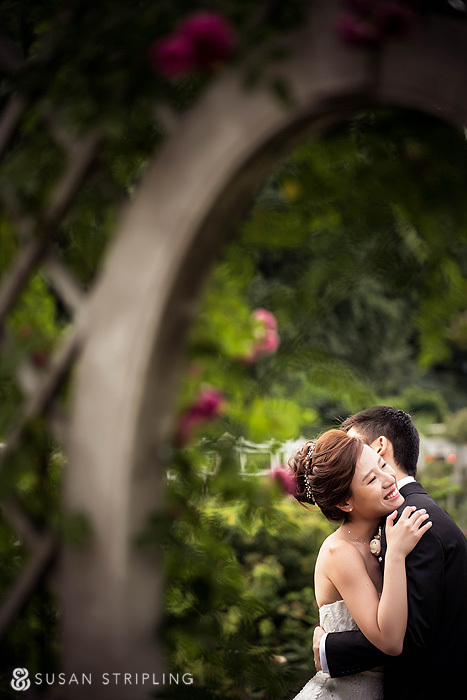 July weddings can be mild and lovely, or over a hundred degrees. The weather on this day was perfect, not too hot but just warm enough! The Brooklyn Botanical Garden is gorgeous at all times of year (the cherry blossoms are especially excellent), but I think there is something special about it in the summertime. I love how you feel like you’re in the middle of a secluded garden, when you’re really in the heart of Brooklyn. 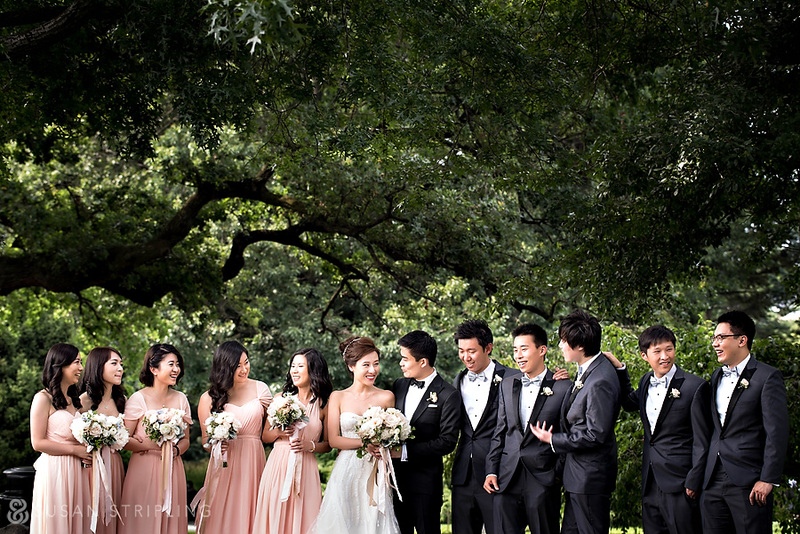 The casual posing I employ with brides and grooms also carries over to portraits of the bridal party. Do I take pictures of everyone smiling directly at me? Absolutely! I also like to try and create a few images like this one, time permitting. I love how everyone is interacting! I try to be observant all day long. I am looking for all kinds of action and interaction. 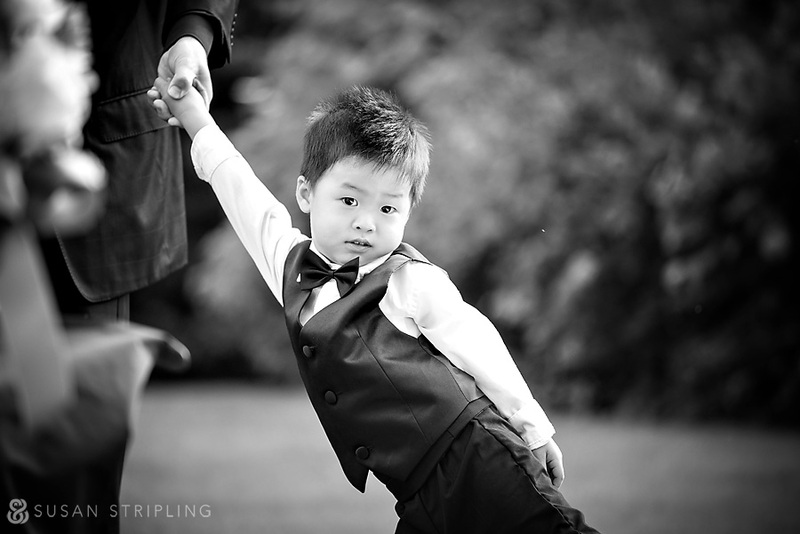 I caught the littlest ring bearer before the ceremony, being dragged off to the processional. I absolutely love his face! 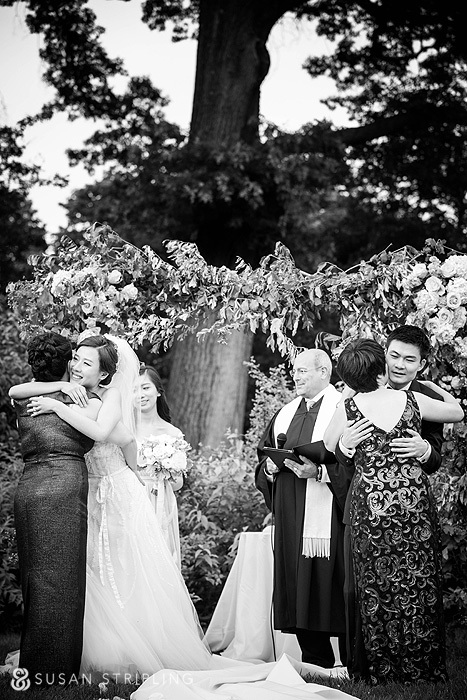 The ceremony took place on the lawn of the Brooklyn Botanical Garden. One of my favorite parts about the ceremony was the processional. 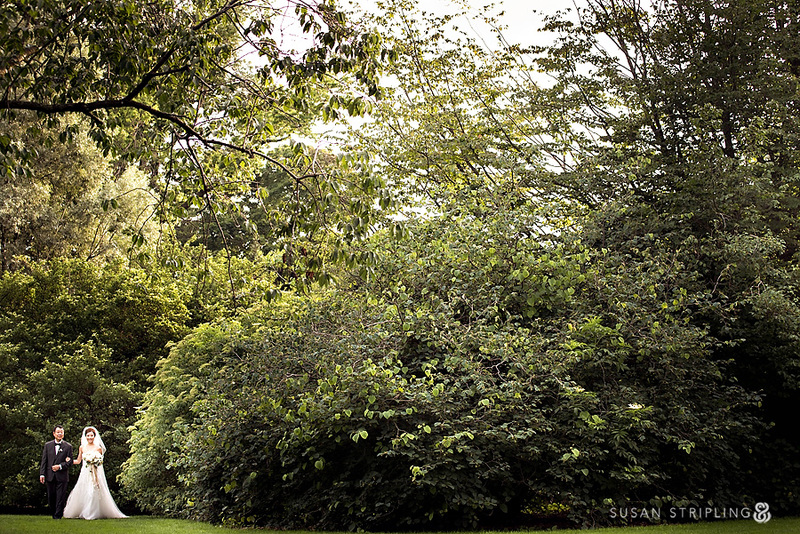 Everyone came from behind this gorgeous foliage to walk down the aisle. Isn’t it dramatic and lovely? The sun is even beaming down from the perfect direction! 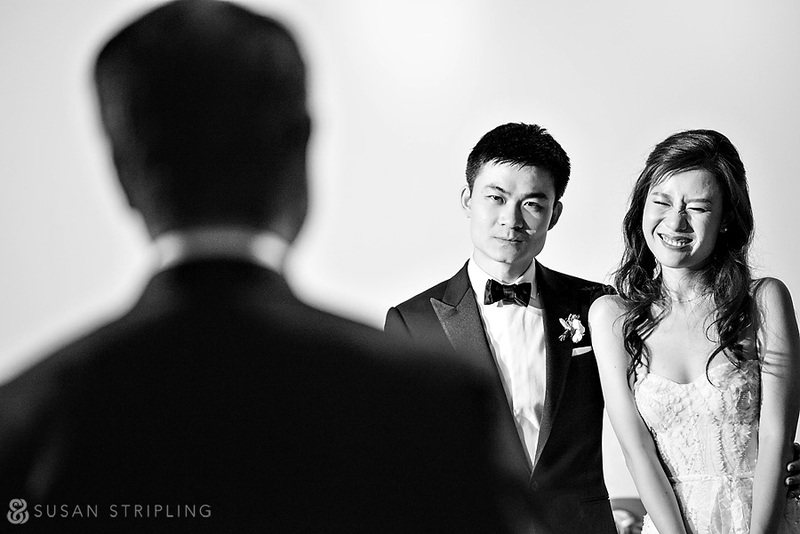 Jundai smiled the entire way down the aisle. I love her flowers, and I love the sun streaming through her veil. When Jundai hugged her father, the sun shone directly on her face. It was really glorious to see. The ceremony was scheduled perfectly to coincide with the setting sun. 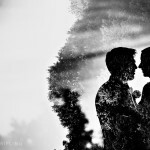 I love the great contrast between the sun in the bride’s veil and the dramatic dark background. It really brings your attention right to her lovely face. The ceremony included the parents of the bride and groom, which was really lovely. I am always drawn to layers in photographs. I love how Jundai and her mother are a frame alone, but when you add the reaction of the officient, and Hong Ma with his mother, you have a richly layered final image. 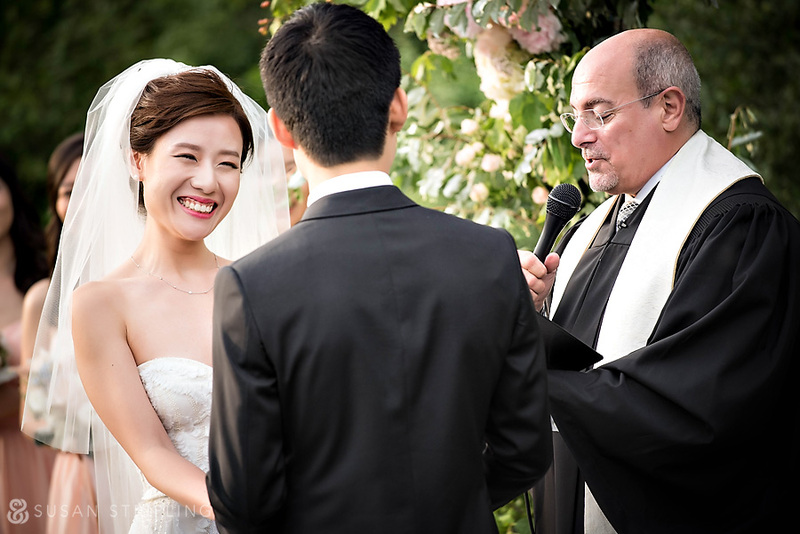 On their way back down the aisle, Hong Ma grabbed Jundai and dipped her. Her reaction was priceless, as were her other facial expressions throughout the day! The last bits of sun shone on the recessional, and then it was twilight. 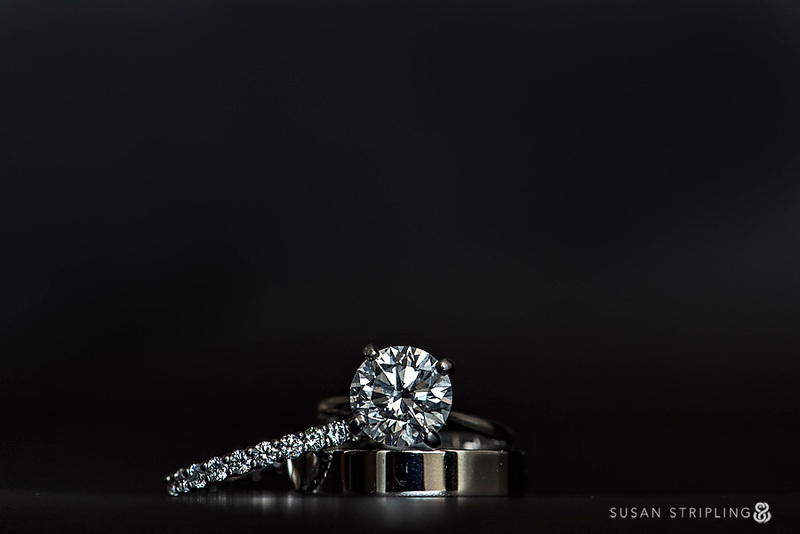 The entire ceremony was timed to perfection! After the ceremony, the bride and groom spent a few minutes with their bridal party. I love how sweetly Jundai is touching the face of her emotional bridesmaid. What a lovely moment. It was such an honor to be there to document it. There are moments everywhere at weddings. Even a bit off the beaten path. 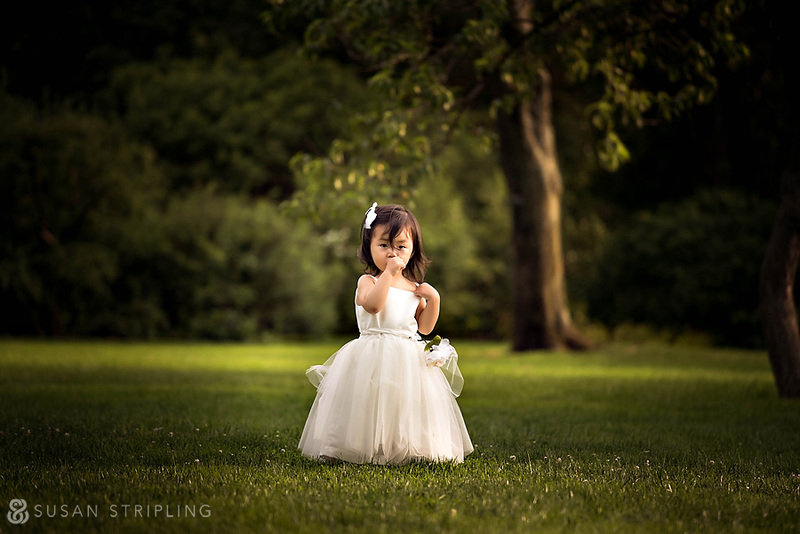 The flower girl was all alone during cocktail hour, and I love her little solemn expression. 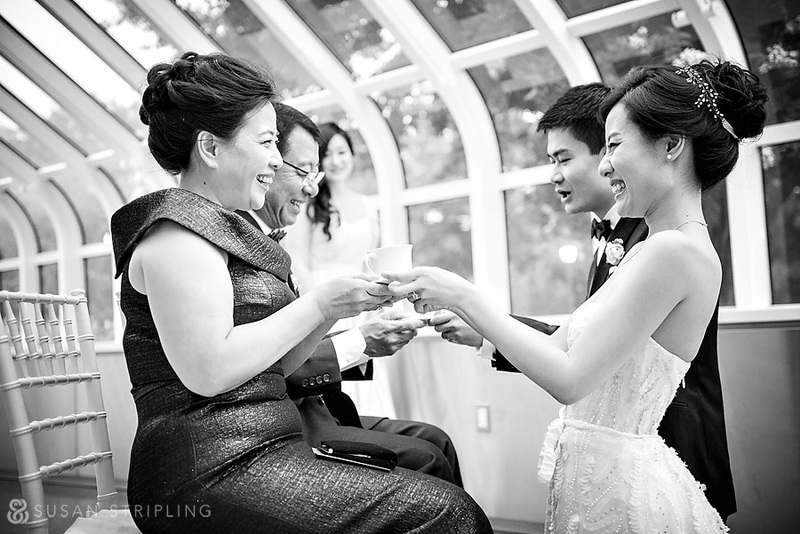 At the end of cocktail hour and before the reception, Jundai and Hong Ma held a brief tea ceremony with their parents. After the tea ceremony was a quick hair and lipstick change for Jundai. Her hair is SO gorgeous down! 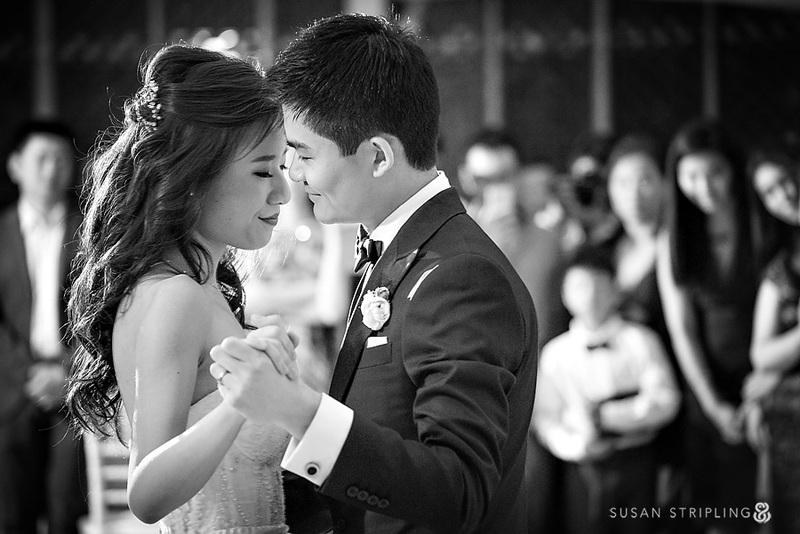 The first dance was short, sweet, and deeply emotional. I always love it when parents get up and speak at receptions! 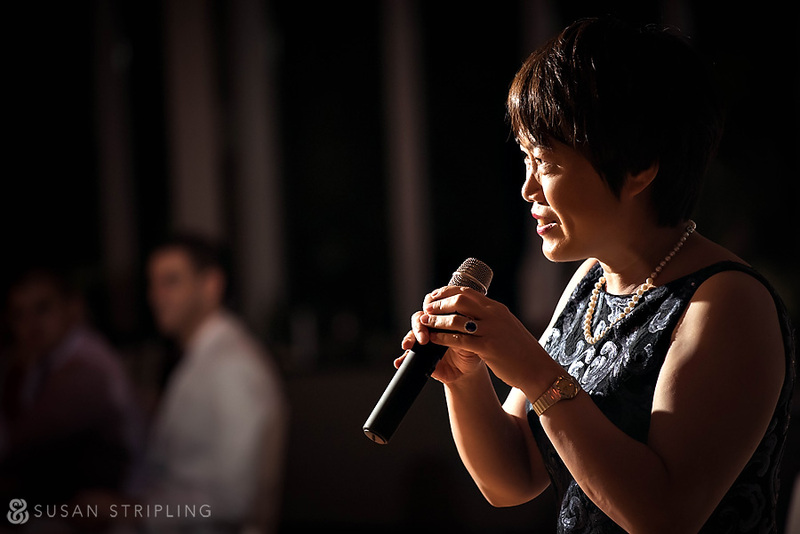 I utterly adore this angle of Jundai and Hong Ma listening to a speech. I love his solemn expression. I also love her adorable smile. 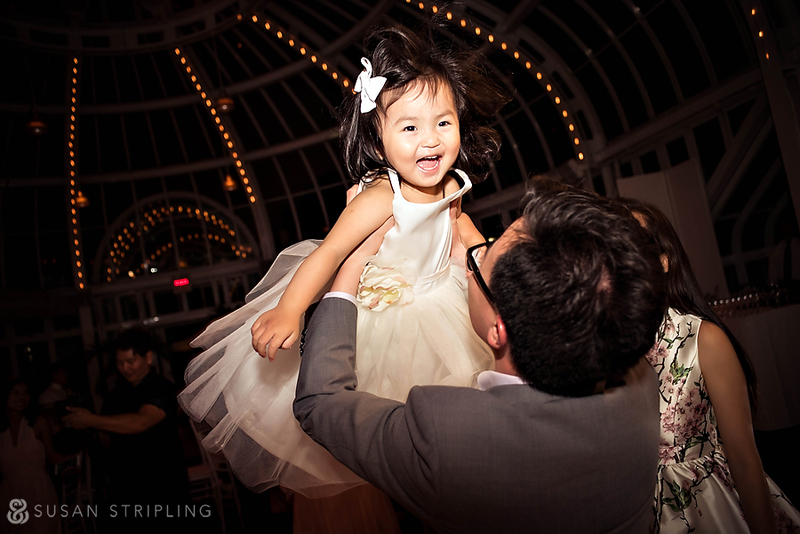 The little solemn flower girl was so longer so solemn once the dance music began! A sunset, a quiet moment, and a beautiful composition. 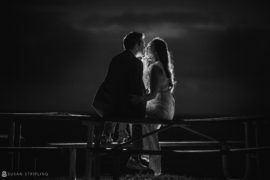 As a wedding photographer, who can ask for anything more?